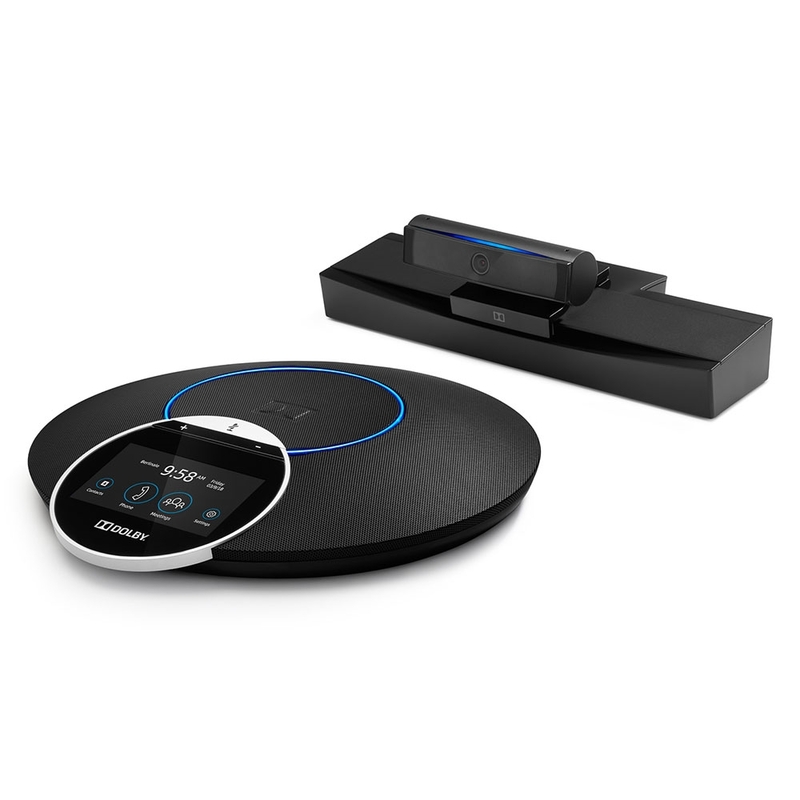 Dolby Voice Room combines the unparalleled Dolby audio quality you expect with an advanced video conferencing experience, including intelligent scene framing and whiteboard view. 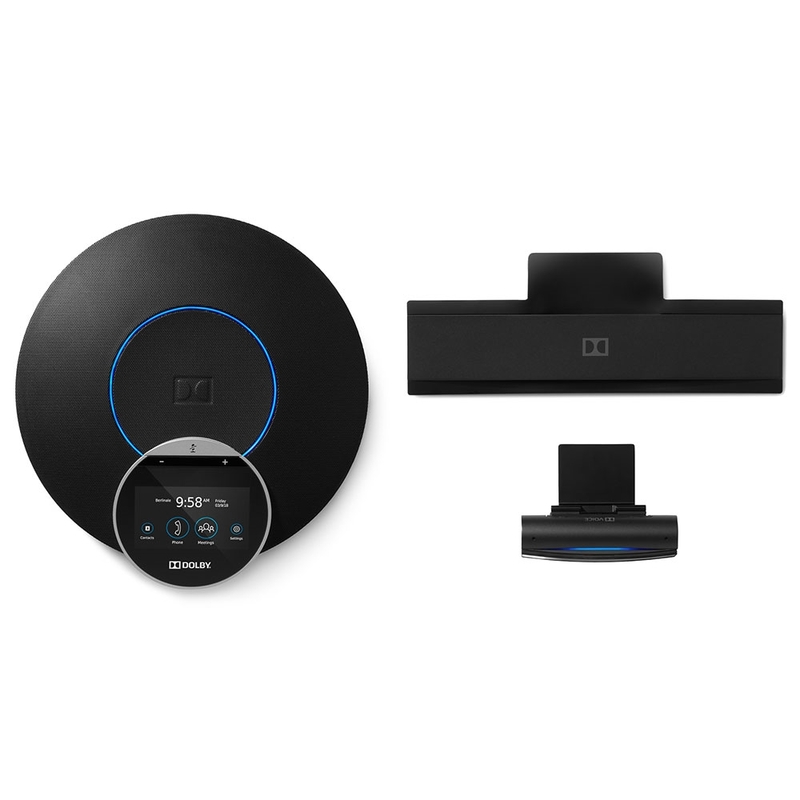 This bundle includes Dolby Conference Phone, Dolby Voice Camera, and Dolby Voice Hub. 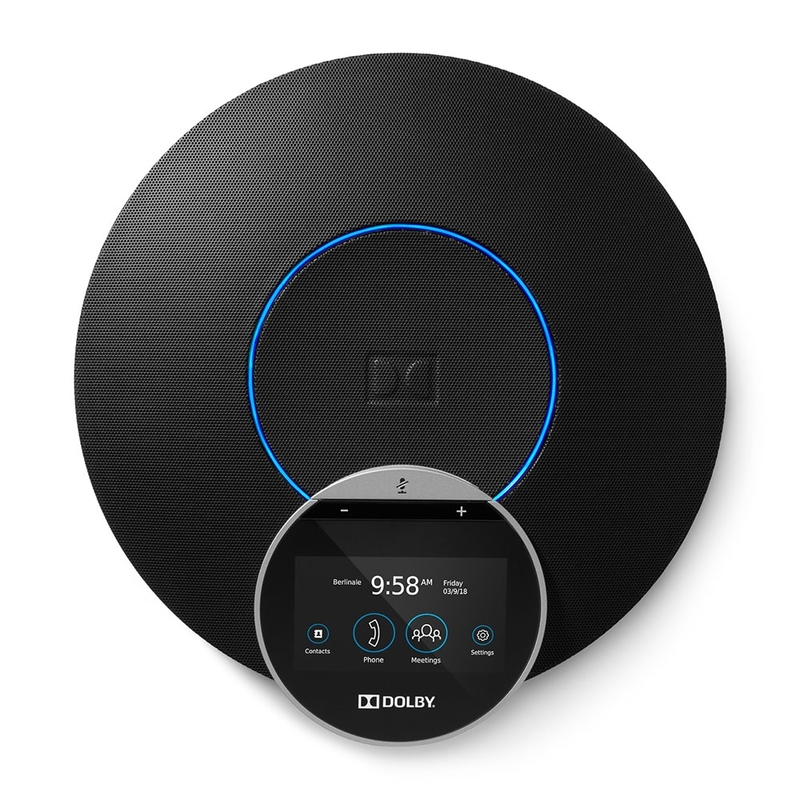 Dolby Conference Phone provides incredible audio quality with a 20ft range in the round. 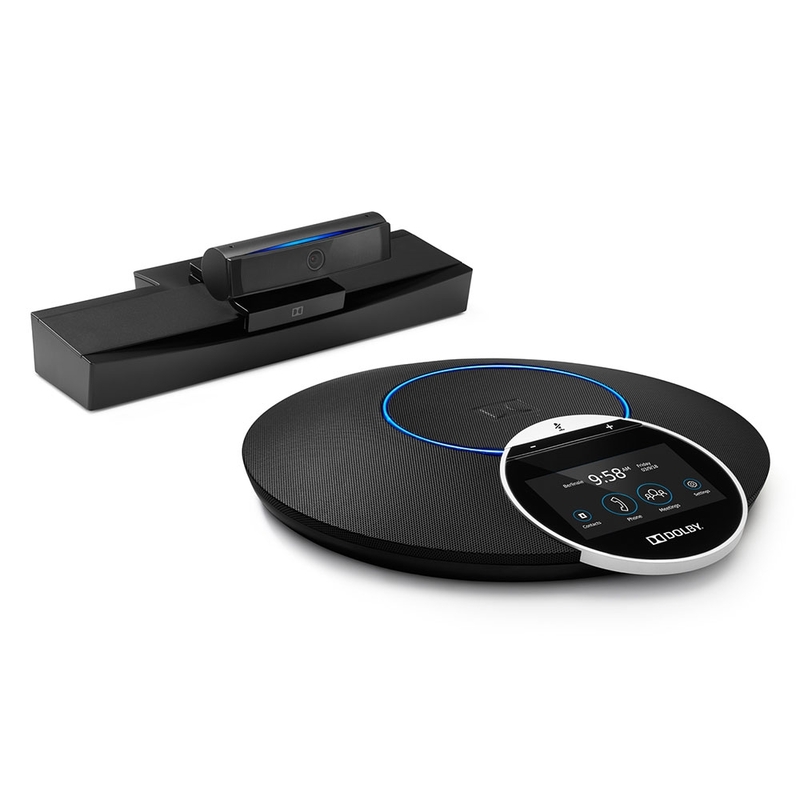 The conference phone works as part of a Dolby Voice Room solution or as an enterprise-class open SIP phone compatible with Cisco CallManager, Avaya Aura, and other standards following VoIP platforms. When used with the Dolby Voice Room solution, Dolby Conference Phone uses a proprietary audio codec, DVC-2, that offers unmatched features like spatial audio, which keeps voices in their positions for an incredibly lifelike conferencing experience that improves understanding. 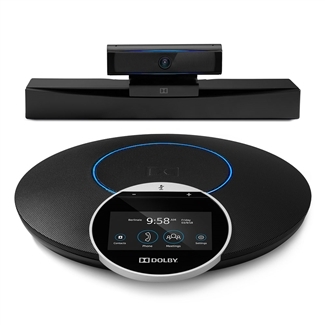 Dolby has developed a full video conferencing system. 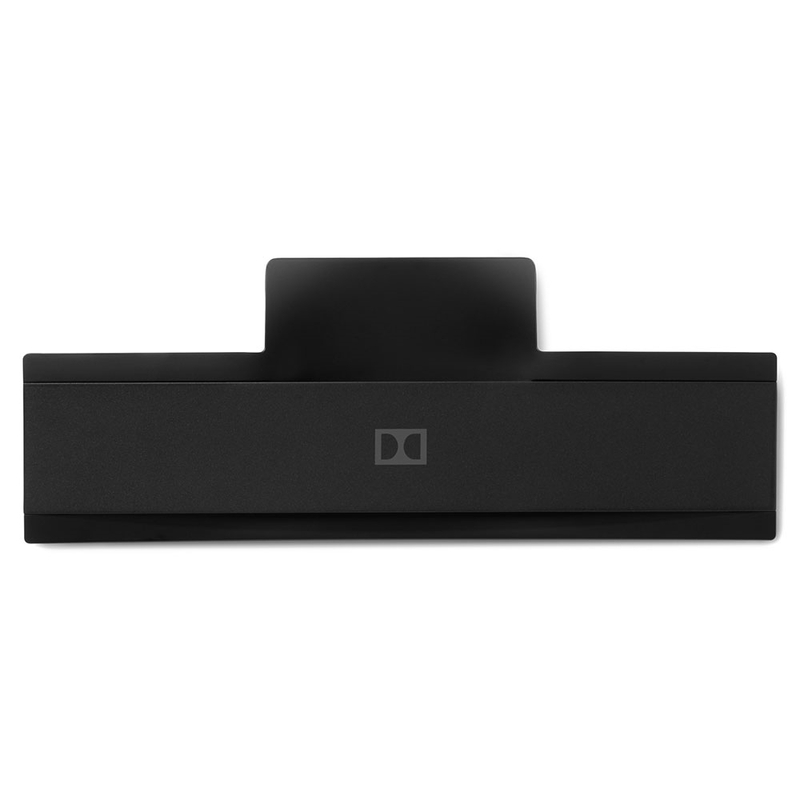 Dolby Voice Camera is a compact USB camera with a 4k Ultra HD video sensor. It's designed for the huddle room with a wide 95° angle of view. 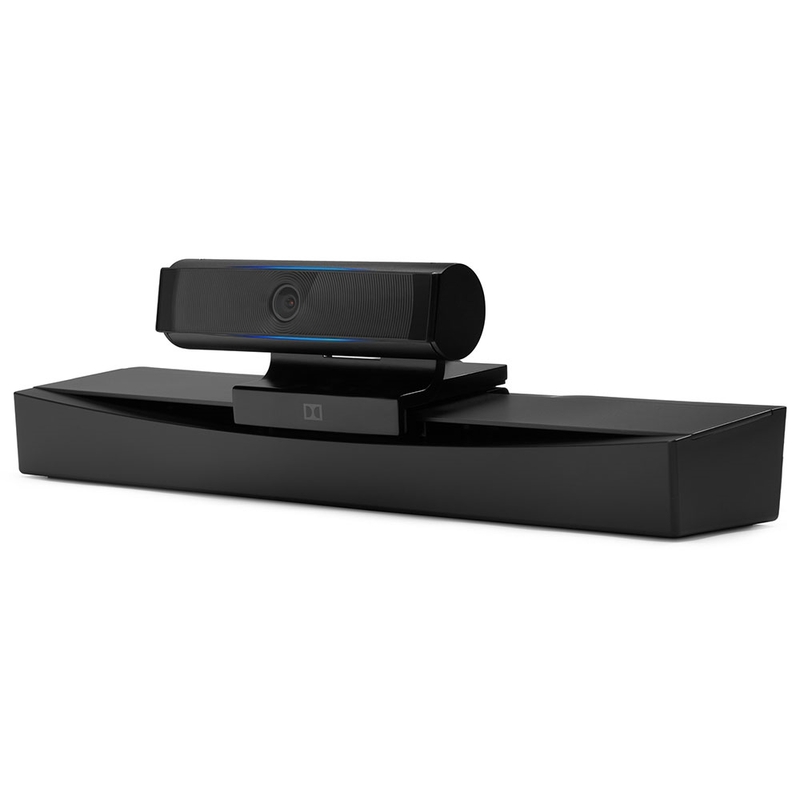 When used with Dolby Voice Hub, it intelligently frames the scene, recognizing people and adapting the frame to the conference members. Whiteboard view allows you to select a whiteboard and automatically take snapshots for remembering or provide a stream of the whiteboard to enhance conferences. Advanced HDR video mapping technology adapts the picture for difficult lighting situations. 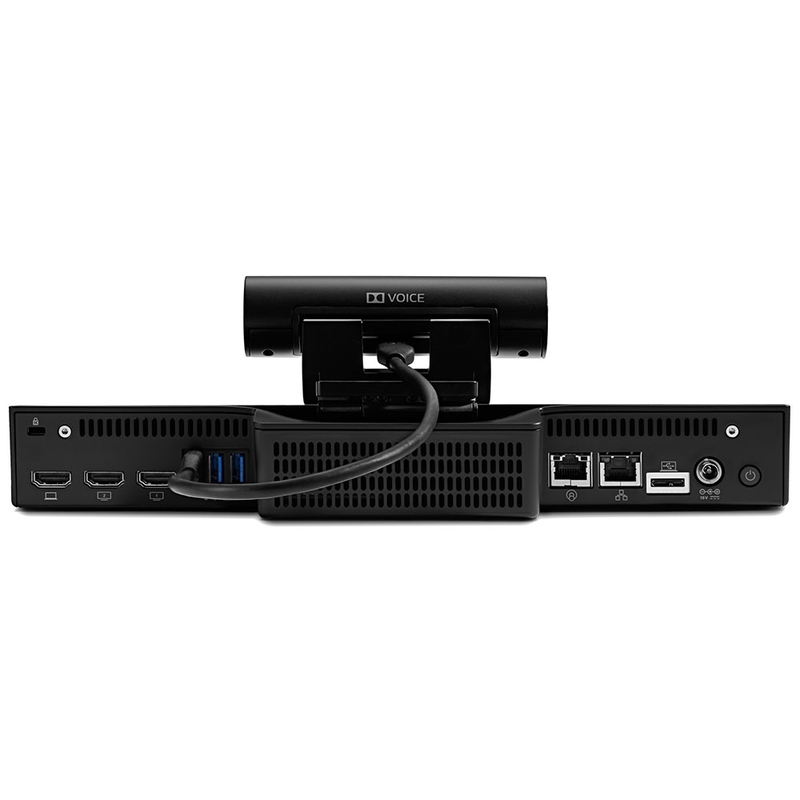 Dolby Voice Room supports dual monitor display for multi-room conferences or conference plus content sharing. Dolby Voice Camera is mounted on Hub. 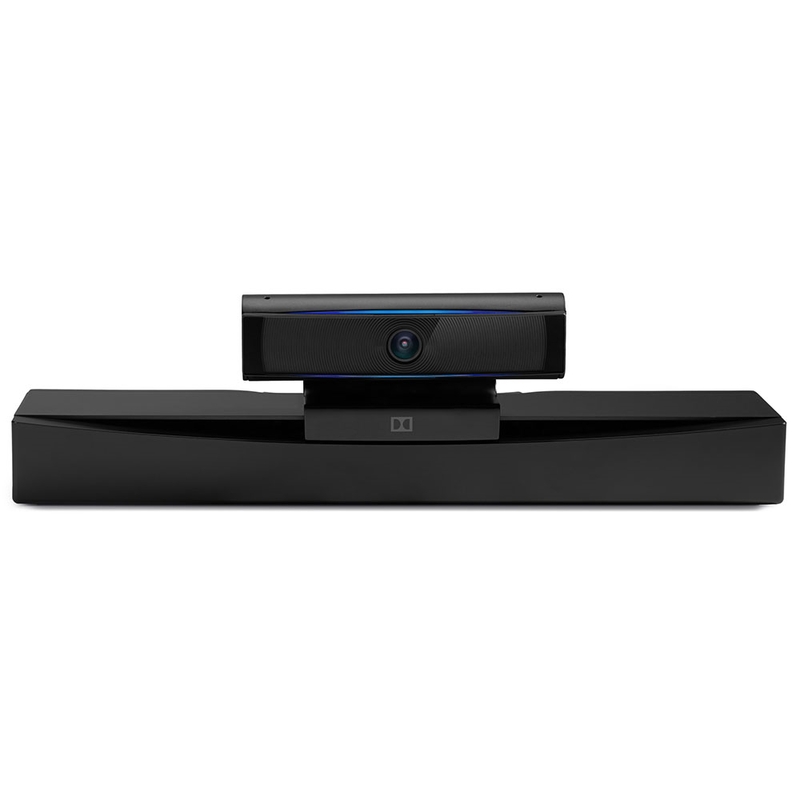 Dolby Voice Hub has a flexible mounting system, including on display and tabletop. Note: Dolby Voice Room requires a subscription to a compatible hosted service provider.